SpotOnTheMouse — is a mouse pointer and keyboard action visualization software. 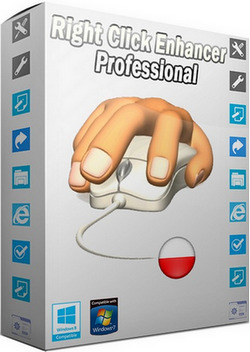 Right Click Enhancer gives you power to control the ultimate right click menu everyone use every day.Right Click Enhancer allows yo to edit your right click menu in the way you want. Now with help of this wonderful tool you can add some good stuffs to your right click context menu. Macro Recorder — the best macro program for Windows. Not just a keyboard and mouse recorder but a powerful automation tool that converts macros to EXE files and more. All recorded keystrokes and mouse activity can be saved to disk as a macro (script) for later use, bound to a hotkey, extended with custom commands or even compiled to an EXE file (a standalone Windows application). This macro recording program will save you a lot of time on repetitive tasks. You can use the Macro Recorder to automate ANY activity in ANY windows application, record on-screen tutorials.